The Client, Wintershall E&P, wished to create a corporate well control manual to strengthen their operational integrity as they increased their regional activity and organisation. 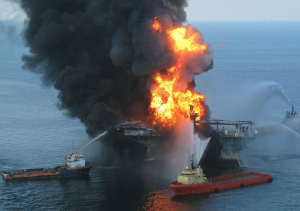 In 2013, an abbreviated Principles of Well Control Policy document had been created but the Client considered that this needed revision in light of the lessons learned and recommendations adopted by the industry following the Macondo (2010) and Montara (2009) incidents. First, a clear remit for the work was required. The Client’s various Operating Groups all had their own vision of what the manual should comprise and generally favoured a short “Policy Statement” approach. In discussion with Bexon, it was agreed that the manual should provide standards, policies and procedures in a definitive corporate document covering both drilling and well intervention. This could then be used as the foundation reference for future abbreviated versions for each of the different Operating Groups within the company. Format and Scope: It was agreed the manual should reflect the format widely used by the leading Industry well control manuals. This provided a cross-industry technical reference and helped define the scope of involvement. Post Macondo issues: A comprehensive review of all the post-Macondo initiatives by the principal industry representatives (IOGP, UK Oil & Gas, US Authorities) was made. A summary of the principal recommendations was included in the manual, highlighting the need for Well Operations Crew Resource Management (WOCRM) training. Resources: A principal editor was established to provide continuity in style and format. The technical scope was covered in five stages: Industry Research, Surface BOPs, Subsurface BOPs, Well Interventions and Special Situations. A nominated specialist within the Client reviewed each section. This strategy worked well and helped to close out the project earlier. Bexon also provided oversight of the project to ensure that it was completed according to the Client’s wishes and within an agreed timeframe. Bexon delivered the first comprehensive Well Control Manual incorporating current industry thinking and initiatives in a post-Macondo world. The final publishing was completed by the Client in 2016.